Happy 8-8-8 Lion’s Gate Portal folks!Today is the second of the 8-8-8 numerology days in August 2015. The day, 17 adds to 8, as does the month and year (2+0+1+5). The number 8 relates to the eighth, or karmic pattern chakra, located above your head. In my psychic readings and numerology workshops, I teach that the eighth chakra is about ‘breaking habits and addictions’, including past life and childhood patterns that disconnect you from feeling whole. The 8-8-8 gateways on 8th, 17th and 26th August 2015 are chances for you to remember who you are – a travelling Soul without limits. I believe that education is the key to unlocking your intuition and opening your Third Eye Chakra. Benefits: I’ve used this for years. At last count I’d listened to it 250+ times. It’s a journey through a pyramid to meet your Spirit Guides and to read your Akashic records for daily guidance. Buy the track here or in a package (3 for $39). Benefits: Includes a psychic cleansing process, white room and mountain top meditations. I’ve used the first track since 2012 to remove cords from my aura. The other tracks connect you with your Guides. Buy online & save. 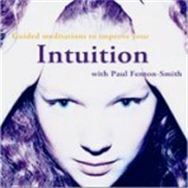 Paul’s book Intuition is also excellent. Benefits: This track helps you to remove pain and regret from specific memories and to understand why people have come into your life. You finish feeling confident about the future. Buy the track here or in a package (3 for $39). 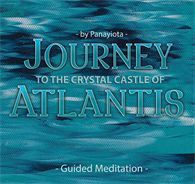 Benefits: Fantastic introduction CD for meditation. Peaceful, hypnotic tracks that help you to relax, to forgive someone who has hurt you, to connect with your inner child and to cleanse your energy. Buy online & save. Benefits: If you resonate with fairies and crystals, this meditation will help you to return home. Every time I listen to it, I wake up with a big smile on my face! Panayiota is an Earth Angel. Buy MP3. 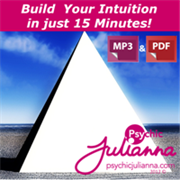 You can download all three Julianna tracks listed above in a Boost Your Personal Package for $39. I bought this and it’s great value. Julianna is a wise 7 lifepath. She was one of my teachers and I love her work. Other MP3s include Empowering Your Day in 6 Minutes,Controlling Negativity from Others in 8 Minutes, and a Shape Your Day to Be Great Package with 3 tracks for $39. Benefits: I thank Leanne the Barefoot Medium and Cimone-Louise Fung (a fellow Master 11 lifepath) for introducing me to Jerry & Esther’s work. Has tracks on physical, financial, and relationship well-being (see my money post). 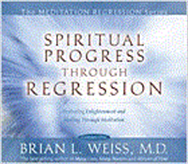 8) Brian Weiss – Spiritual Progress Through Regression Length: 2 meditations, ~ 60 minutes, CD. RRP $15 or varies on Amazon etc. 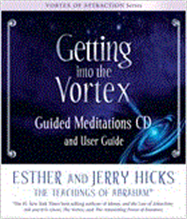 Benefits: This is a deeply healing CD, which I listen to when I need a big breakthrough. You’ll discover why you chose your parents and past lives. Read about past life regression. I hope you’ve enjoyed this behind-the-scenes look at how I stay psychic! Read more about my teachers and healers. 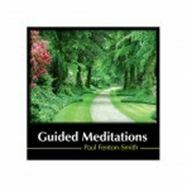 I should mention that Paul (another one of my original mentors) has a range of CDs on soulmates, self-confidence and restful sleep.I hope to release my own range of meditations in 2016. Until then, I encourage you to buy one or more of the tracks above to kickstart your spiritual awakening. Please note: This is an objectively written article. 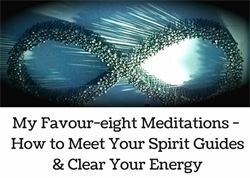 As a professional psychic, I have purchased and tested the meditations listed here, numerous times. I receive no financial incentives from the authors of these tracks, apart from a small % of proceeds from Julianna’s MP3s above, which go towards supporting this blog.It pays to invest in your Soul connection. Your physical body contains only 1% of your power – the rest comes from your Soul Connection. When you work with your Higher Self, Spirit Guides and The Universe, you become a force for healing and illumination. Think of the tip of a pen versus the whole pen. If you try to solve things with logic alone, you quickly run out of ink/ energy, but when you connect with other people and Spirit you become invincible. Everyone who meets you will be struck by your faith in a Divine Order and ability to recover from setbacks. 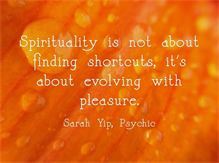 Spirituality is not about finding shortcuts, it’s about evolving with pleasure. That’s right. You never get rid of your problems, you just trade them for more interesting ones! Lifepath 8’s such as Dan Millman are keenly aware of this principle. We live in a world of no free lunches. 8 looks like an infinity symbol standing tall, because ‘what goes around, comes around’. Words like FAITH, GOD and KARMA add to 8 in numerology. You attract what you give x 1000%. The more you share and celebrate love, the more you receive. It’s the same with money, health and luck. Read my manifestation tips here and here. Thank you for your support! If you liked this post, please join my facebook page The Numbers Queen. You’re welcome to post on the timeline. You can also subscribe to my e-news for articles (see homepage).